The meaning of a word depends on how it is used. This is to say that language is essentially contextual, and that a word only has an identity through its relation to its other. A cliché example of this is when one word, in different contexts, holds opposite meanings, as in when “bad” is used to mean “good.” However, it’s not simply that the word means its opposite, as if it’s a case of simple reversal. Rather, the meaning of the word depends entirely on its use, in the context of the system as a whole. “Bad” does not simply mean “good,” but rather signifies a subversive act against the convoluted history of an oppressive language system. As specialized languages develop, such as the technical languages of the sciences, or the idiosyncratic vernaculars of sport, for example, words take on a multi-layered etymological history. This rich etymological history of a specialized language can often make it difficult for an outsider to penetrate the particular culture that the language belongs to. On the other hand, when said culture, despite its technical language, becomes popularized, through enticing ideas or images, it is often the specialized language that is the first to be appropriated and watered-down. This is because an outsider, who may not understand the etymological history of a certain term, will take it at face value. It is this superficial appropriation of terminology that helps spread the popularity of the culture. 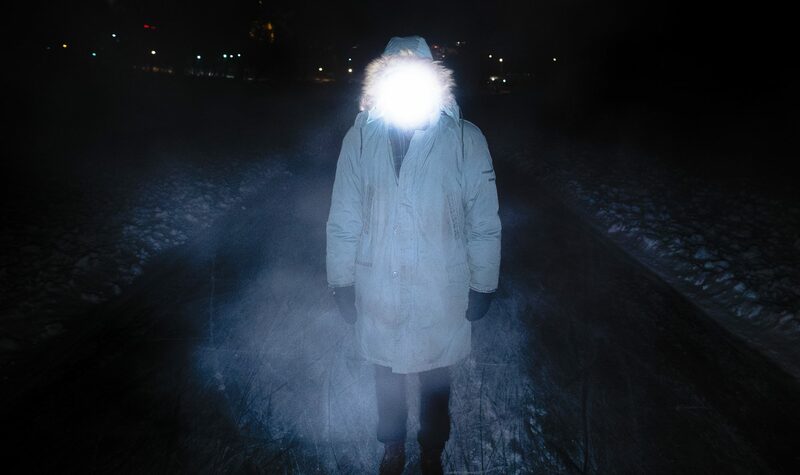 Eventually, the outsiders outnumber the specialists, and the culture itself is reduced to its superficialities. To the people who consume hip-hop on the largest scale, and who have therefore appropriated it’s signifiers, Iggy Azalea is a more definitive representation of what hip-hop is than someone like, say, Marley Marl, to name one example. This type of watering-down of a culture is inevitable. Once a culture comes to be dominated by outsiders, in other words, once the consumers of a culture outnumber its participants, its meaning shifts from the technical usage to the superficial usage. This is an inevitable result of a culture’s “success.” Hip-hop is one of the most “successful” cultural movements in recent history. As a result, hip-hop has become fashion, a costume you wear on the weekends; hip-hop is something you buy at the mall. But this is all too cynical. In some corners of the world, hip-hop is still controlled by its participants. In these cases, hip-hop continues to develop in a way that confounds the outsider. 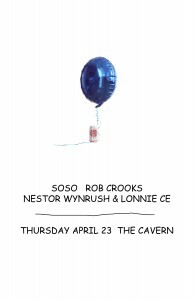 Thursday, April 23rd at the Cavern in Winnipeg, there will be a showcase of artists who continue to interpret hip-hop in just such a way. I am proud to be performing with soso, Nestor Wynrush and Lonnie Ce. The occasion for this show is soso’s new album Not for Nothing. soso, who will be traveling from his home in Saskatoon for this show, is one of the bravest and most authentic hip-hop artists I have ever encountered. He is a musical hero of mine and I hope you will all come down to watch his performance.